On Saturday 11th April 2009 the Greenland Dog Club, committee and 25 members celebrated the 50th anniversary of the formation of the club. 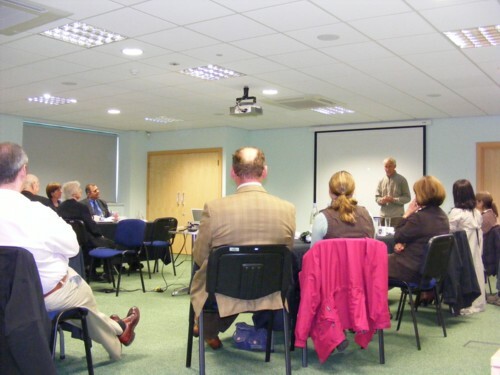 The day was held at the new KC building in Stoneleigh Park. The guest speaker was Geoff Somers MBE, one of the world’s most accomplished polar travelers, he has crossed Antarctica by its great axis, has been to both poles six times and has traveled 16,000 miles in the Arctic and Antarctic. Geoff started the day by giving a presentation of his career in Antarctica and the conditions, day to day activities and dog experiences that he gained in his first 33 month term. This was followed by a fantastic three course lunch provided by Aubrey Allen that was sumptuous to say the least. A raffle followed that featured some very nice items including harnesses from Geoff's 1990 Trans Antarctic Expedition and DVDs. Geoff's second presentation told the story of an historical 3,700 mile crossing of Antarctica made by six strangers, including Geoff, from six different countries. The pre-training took three years and included an expedition the entire length of Greenland to test the dogs. The journey took seven months to complete. They were the first team to traverse Antarctica by dogsled, the first to trek the length of the Antarctic Peninsula in winter and to cross the isolated “area of inaccessibility” on foot. The presentations were accompanied by many slides and videos that really made you feel as if you were there, minus the discomfort of course! The stories he told and the visual images were breathtaking, with a few heart in the mouth moments thrown in for good measure. All showing how amazing these dogs and their human leaders are. 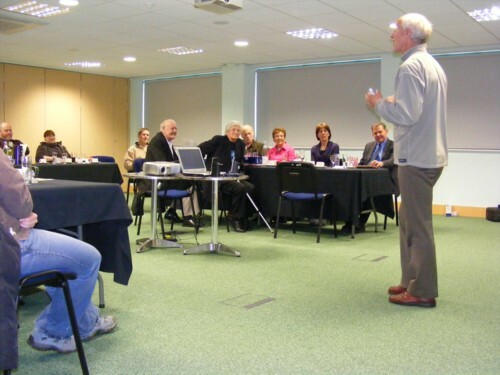 We have received lots of feedback from the members about how much they enjoyed themselves and about how fascinating Geoff and his stories were. Thank you to those who came along to enjoy the day and to those that continue to support the club. Here's to the next 50 years!! !